Today’s chore? Cleaning the chicken coop! Oh, it’s definitely not bad with just 6 hens and a rooster… they spend so much time outside, I don’t have to do this very often. Plus Wyoming is SO dry, most chicken poop dehydrates pretty fast! Dry = no smell, so yay! 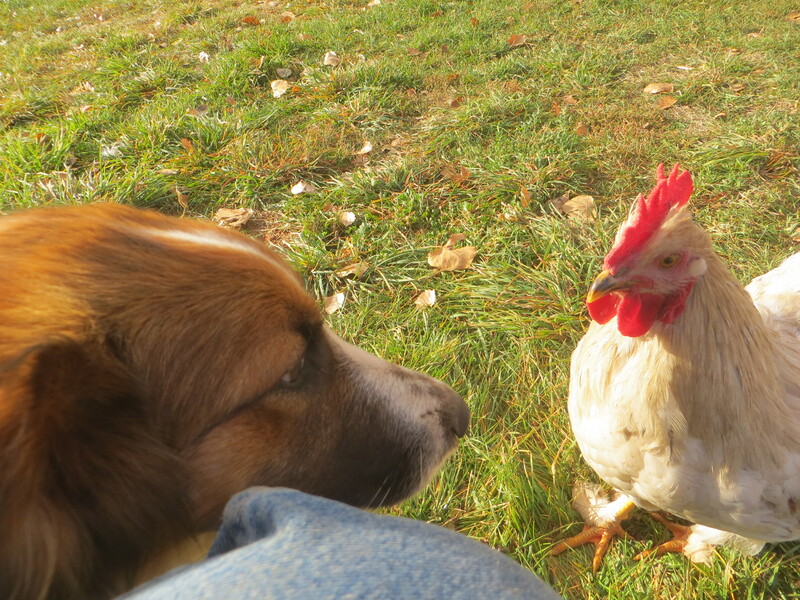 First, the girls had to leave the coop to start their daily rounds… and Spot had to come check in with Eden. Eden, brave cowdog that she is, hid between my legs and pitifully looked out at Spot. I know… she’s huge! And to think she started like this in mid May! That’s genetics… a mom that’s most likely a Buff Rock and a Cochin papa… you get a Big Girl. 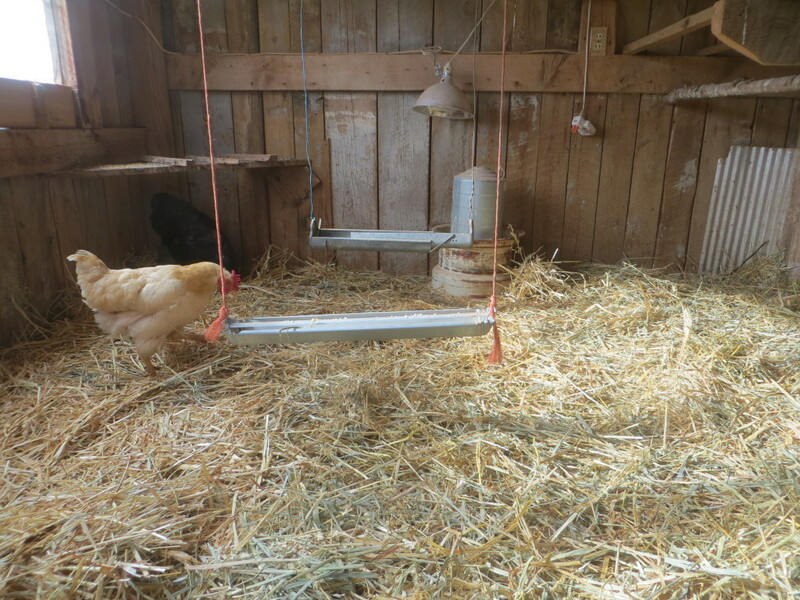 That’s them in the clean coop… Sorry, I was more worried about the clean coop picture, than pics of them! Anyway… Spot continues to darken… the few speckles she had this summer have multiplied, and she’s turning a dirty white around her head and neck. She still lets me pet and hold her, though on occasion she does it with Attitude. She’s my biggest hen, but still picked on by the others… I guess her Attitude is well deserved. Note: Some of you may be getting posts much later than others… up to two days. The best way to get the posts on time is to check the actual blog address (reddirtinmysoul.com) or follow Red Dirt In My Soul on facebook… just in case you want posts on the day they’re posted! Spot is really a beauty! Don’t worry, Eden. I’d be leery of Spot, too. Not a fan of chickens, huh? That’s a cool hen. I like her. We got five chicks this past summer and four turned out to be roosters. I’m about ready to wring their necks myself, though I know I couldn’t do it. They are driving all the hens mad and need to be gone yesterday. I’m surprised we’re even getting eggs with all the hens hiding out from the adolescent rooster gang. 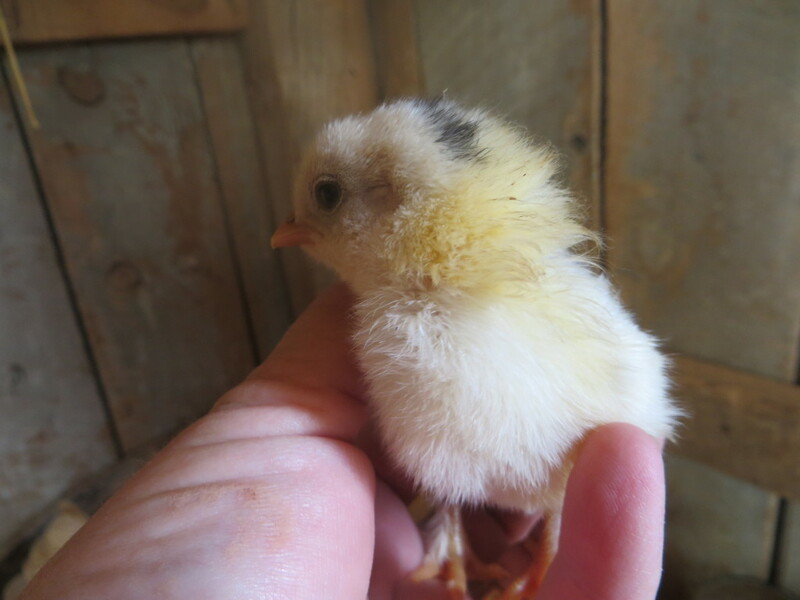 There’s one I’d be tempted to keep, because he’s a gorgeous red gold color and pretty mild tempered, but I’m fairly attached to the “old” rooster too. It’s my sister’s choice in the end anyway. 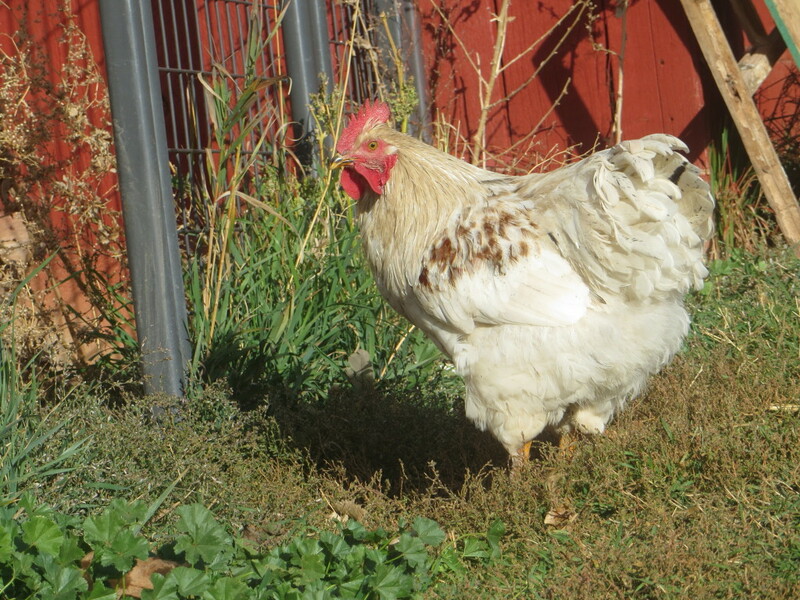 Everyone has been voting for me to get rid of him, but he’s much nicer (to me at least) than those other roosters were. They were so MEAN to the hens and people, I didn’t feel too bad about doing away with them! Nice clean coop and a special Spot for sure… she is cute and unique….